The first textbook read by my students in my Masters class in governance is on the history of governance in this country. 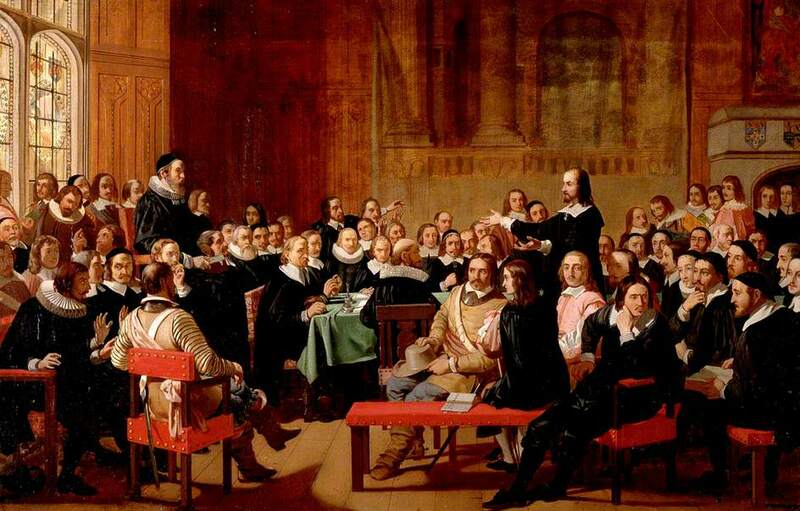 Several students were surprised to learn that the roots of modern day nonprofit governance go all the way back to colonial days, with the establishment of the board for the Massachusetts Bay Colony, the first American Board. Institutions of higher learning came next, most notably Harvard (founded in 1636), William and Mary (1693) and Yale (1701). But all of the students seemed equally amazed and intrigued by how much of what was going on nearly 400 years ago is still going on today. This should come as no surprise, as it was George Santayana, Spanish-born, but self-described American philosopher, as well as Harvard educated, who gave us the original statement, oft rejiggered, that “those who cannot remember the past are condemned to repeat it.” Some of what is being repeated today isn’t bad; other stuff, not so good. Knowing that most are not going to go running to read about the history of nonprofits, I’m giving a Cliff Notes summary by sharing what students in the class identified as their interesting take aways, and my commentary on these highlights. The Massachusetts Bay Colony sought board members for their “honesty, wisdom and expertise.” Today, we still look for board members who will bring needed wisdom and expertise to the table, but fail to pay enough attention to the integrity factor, among other things. What subsequent boards of colonial days came to find out, and what we surely know today, is that expertise and honesty aren’t the only things that needed to be considered in selecting board members; we must also think about other personality traits and demographics, as a good board needs far more than just expertise. Fast forward to the 1800s, Leonard Bacon, an influential clergyman in New Haven, Connecticut, expressed concern over boards’ failure to pay attention to “mission displacement,” preferring instead to focus on money. He urged boards to be transparent and accountable, the very same mantra of nonprofits for the past twenty-five years. But, clearly, the mantra hasn’t been chanted loudly enough or heard clearly enough, nor the mission drift guarded against well enough, as we watch too many nonprofits (and one would be too many), get caught up chasing dollars and losing sight of their purpose, failing to be accountable to their donors, their clients and their communities, and not insisting upon transparency, even amongst themselves. Even economist Thorstein Veblen had thoughts on the errors of nonprofit boards. Commenting specifically on boards of institutions of higher education, he was quite critical of so many businessmen on boards of academic institutions because they redirected a board’s focus to what they knew—making money—and away from the mission of the organization—education. There are many in higher education today, as well as many other areas of the nonprofit sector, who would agree with Veblen’s assessment: too many people on a nonprofit board whose daily focus is on improving a company’s bottom line rather than improving an organization’s ability to achieve what is often perceived as a less tangible product, dilutes the power and purpose of the nonprofit. Another student was surprised by the lack of education available to nonprofit board members to help them understand their job and responsibilities, noting that this concern didn’t really seem to gain traction until the early 1900s. While many educational opportunities are available today, there are too few board members and collective boards availing themselves of the opportunity to learn. And, of course, all of the students who have spoken out thus far were appalled by the lack of diversity on any of the boards of colonial days and well beyond. Well, actually, beyond would include 2019. While we can all understand that the lack of diversity on nonprofit boards in the 1600s to the 1900s was a function of the lack of diversity in leadership positions across the spectrum, the question we must continue to ask, and the problem we must continue to fix, is why is this still the case? The boards of our forebears were built on privilege and exclusion; sadly, too many of our nonprofit boards today are built on that exact same base. Given that these are just some of the points student called out, perhaps everyone should run to run to understand our history, as we are, without a doubt, repeating the mistakes of our past.